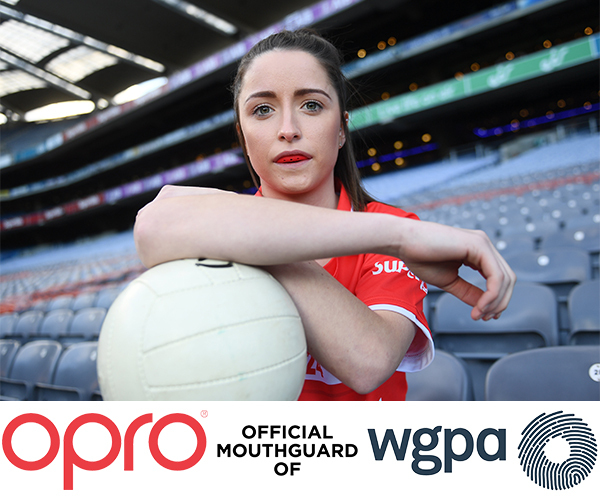 The extension of OPRO’s initial one-year deal will see OPRO provide mouthguards to all intercounty Ladies Football players, in line with the WGPA’s goals to enhance the playing experience for its athletes, both on and off the field. The deal will also see the launch of a licensed range of WGPA mouthguards available online and through OPRO’s global network of retailers. The agreement will see OPRO support Ladies Gaelic football players while promoting safe sport through teeth protection. It builds on the enhanced experience for players in recent years, with the introduction of financial support from the Irish government in 2017 increasing access to injury prevention & medical cover, sport science services and specialist facilities. As the official mouthguard of the WGPA, and with partnerships already in place with the GAA (Gaelic Athletic Association) and GPA (Gaelic Player’s Association), the deal solidifies their stance as the mouthguard of Gaelic football. With over 20 years’ experience, OPRO is dedicated to bringing leading technology and safety to athletes at all levels of sport.